Manila Deal Reviews: Fluffy Love! 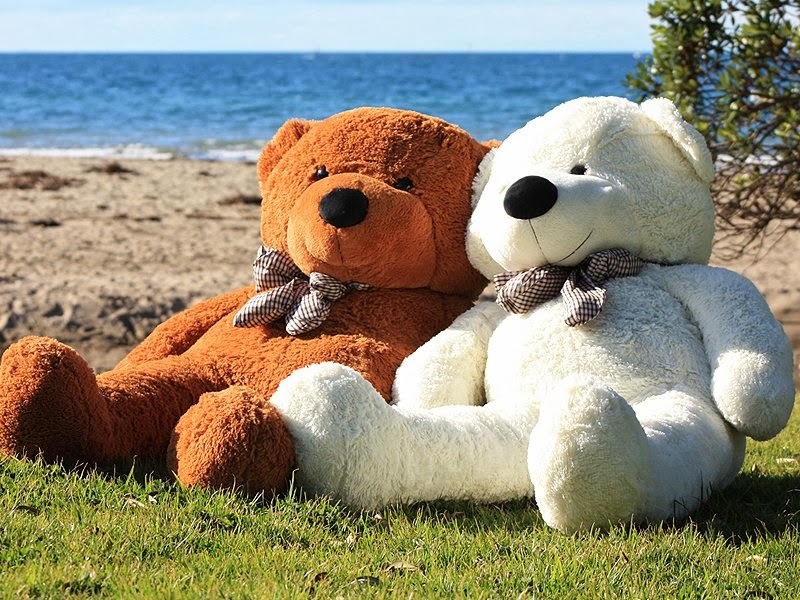 Cutesy life-sized Teddy Bear from MetroDeal! Fluffy Love! 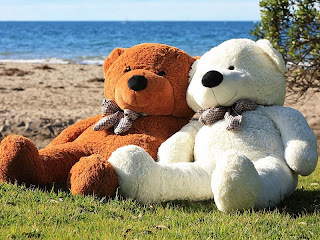 Cutesy life-sized Teddy Bear from MetroDeal! I simply love everything huggable, cute and fluffy. I adore stuffed toys more than I love my usual pillow, for it gives me comfort and serenity everytime I'm with my furry stuffies. If you were to asked me, I prefer bunny rabbit and teddy bear stuffed toys for they are the cutest thing in the world. I'm actually looking for a stuffed toy that looks more life-sized than the little ones that can be put in my book shelves so that I could place them beside my bed where I can hug them while I'm on a deep sleep. I saw a gigantic teddy bear on one of the famous specialty shops at the mall, but I find it expensive! To have the life-sized toy for 5000 pesos is too much for me, and Im thinking that the buyers will also think of the same thing if they see the price tag for the life-sized teddy bear. I think it's not worth the money. A friend of mine who happens to be a fan for everything cheap and worthy, told me about this promo from Metrodeal: this gigantic, fluffy and huggable teddy bear can be availed for only P1699! After checking out this promo it looks so too good to be true, but it really is! The 4 ft. 5in. Stuffed toy is almost the same as the teddy bear that I saw at the novelty store and a friend of mine who bought this before me has already got the gigantic bear and loved it! It looks so fluffy and soft and beautiful, perfect for hugging during my lonely times and a bedmate at night. It made me convinced to purchase the voucher and wait for it to deliver my baby bear right in front of my doorstep. I've known Metrodeal as one of the prestige online shopping sites around that offers discounts on travels, wellness and restaurants, and it's also surprising to see them having this lovable teddy bear and all kinds of helpful gadgets and novelty products on their website! That's why I'm glad that they had this posted on their site! I can't help but to to give the giant fluffy toy a hug as the giant teddy bear arrived. It was a love at first sight. The bear is so gorgeous and fluffy and lovely. It fits perfectly beside my bed, definitely a perfect bedtime companion (and an imaginary boyfriend) for me.